Another impressive offering from luxury writing instrument craftsmen, Bespoke British Pens, comes in the form of Henry Simpole’s 1907 Exhibition Plunger-filler Pen – an undeniably beautiful tribute to British pen-making and one whose history could well be attributed to changing an industry – if not the world! The 1907 Exhibition Pen spans the course of a century, combining classic design and the latest technical expertise. Here, in a single pen, you’ll find intricate design skills that owe much to the Art Nouveau movement, flawless 21st century craftsmanship in stunning hallmarked silver, exquisite enameling in the style of Carl Fabergé and the epitome of all top-quality writing instruments – an 18ct gold nib which adds a silky-smooth flow to your writing. Yet for all its external glamour, it’s what lies beneath the surface that holds most interest for today’s pen connoisseurs. 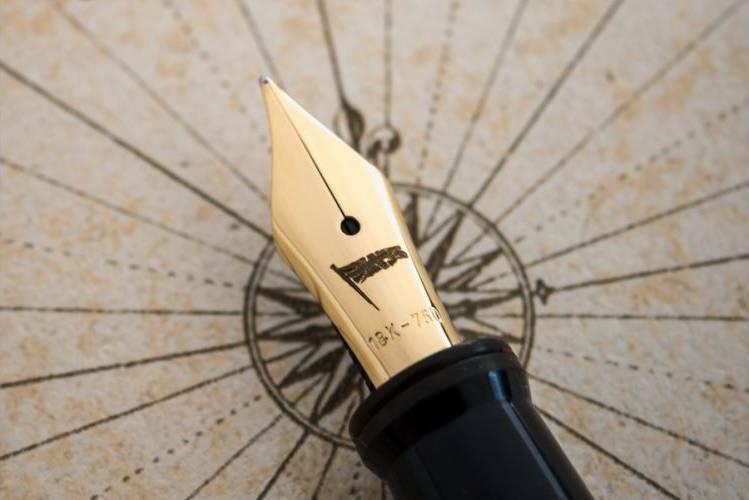 For the 1907 Exhibition Pen is ‘powered’ by a plunger-filling ink mechanism that, when it was first introduced in 1905, created a seismic shift in the fledgling fountain pen industry. Until that point in time, filling a fountain pen was an inaccurate and often very messy operation, using an eye-dropper to load the ink then squirt it into the ink chamber. So when a London-based mechanical engineer by the name of George Sweetser invented and patented a filling system that did away with eye-dropper paraphernalia, it was, at a stroke, a game-changer for fountain pen manufacturers. Not only was it quicker and cleaner to fill, it also contained far more ink than the eye-dropper version. Sweetser’s plunger-filler mechanism was soon bought by Thomas De La Rue, the banknote and postage stamp printer who had already started to develop their fountain pen business. With its new plunger-filler mechanism giving it a head-start over its competitors, De La Rue’s ‘Onoto’ pens were soon being sold in huge numbers around the world. 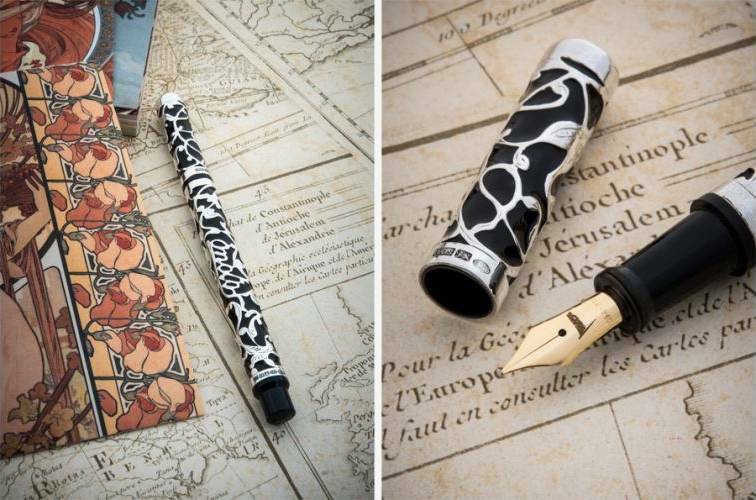 In fact, in Japan, it is thought that this modern writing apparatus was largely responsible for changing the writing habits of academics and professionals from traditional brushes to fountain pens. In 1907, as De La Rue’s plunger-filler pens were being marketed globally as ‘The Pen That Never Leaks’, an enterprising Birmingham silversmith decided to create a sterling silver overlay for what was otherwise a fairly drab-looking pen made from black ebonite. The overlay, probably made to display at an upcoming exhibition, transformed De La Rue’s pen into a thing of rare beauty. Fast-forward over 100 years to 2013 and this same 1907 Exhibition Pen – still in remarkably good condition – was acquired by an elite private collector. 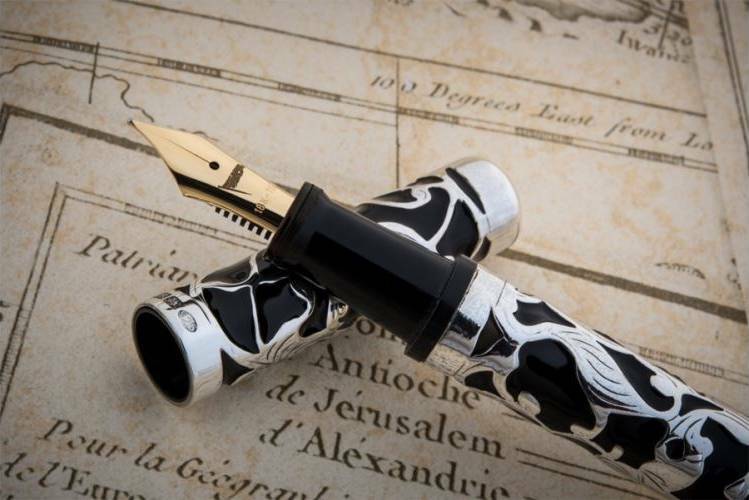 He was so impressed with its outstanding qualities that he asked renowned London-based silversmith and fountain pen aficionado, Henry Simpole, to create a replica in a small limited edition of just 35 pieces. Henry has perfectly embodied the spirit of the original 1907 Exhibition Pen, expertly replicating all its outstanding qualities. Rich, black enameling fits perfectly between the glittering filigree silver, giving an elegant aesthetic. 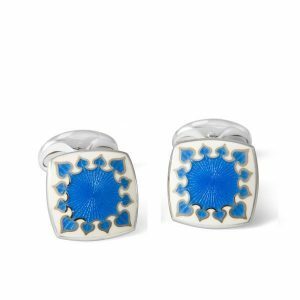 The slight undulations in the enamel rising to the crest of each sterling silver strand in a traditional cloisonné style are immensely tactile, radiating a true sense of luxury. One of the most important elements of Henry’s 1907 Exhibition Pen is the method by which he creates the sterling silver overlay. Being the perfectionist that he is, he uses an ancient Egyptian casting technique known as the “lost-wax” process, which dates back over 6000 years. Each pen is accompanied by a booklet, which explain the meticulous way in which Henry creates every part of the silver overlay. And of course, Henry’s 21st century update of the 1907 Exhibition Pen is also driven by a plunger-filler mechanism which has been painstakingly recreated to give that authentic Sweetser touch, although the components have been upgraded to include the latest materials, such as a carbon-fibre plunger-rod and silicon-rubber seals. 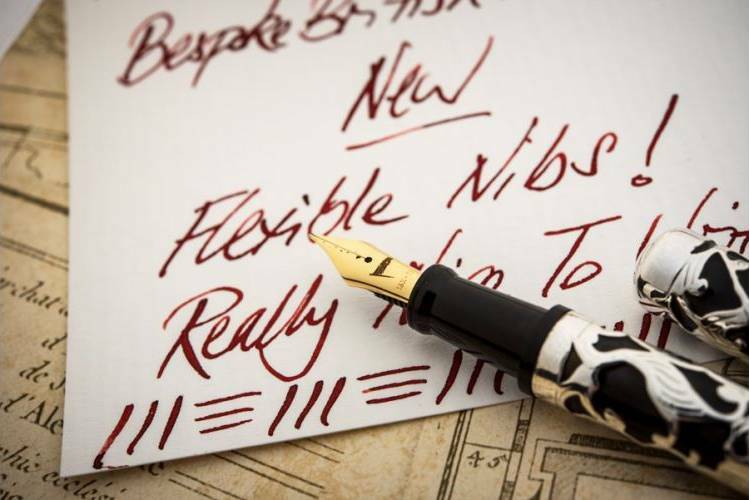 Modern day collectors and pen enthusiasts still appreciate the volume of ink that the plunger-filling mechanism allows you to carry – more than 4 times that of a standard cartridge! Without doubt, Henry Simpole’s limited edition replica of the 1907 Exhibition Pen is a masterpiece – an exhibition-quality piece that will grace any office or board room. 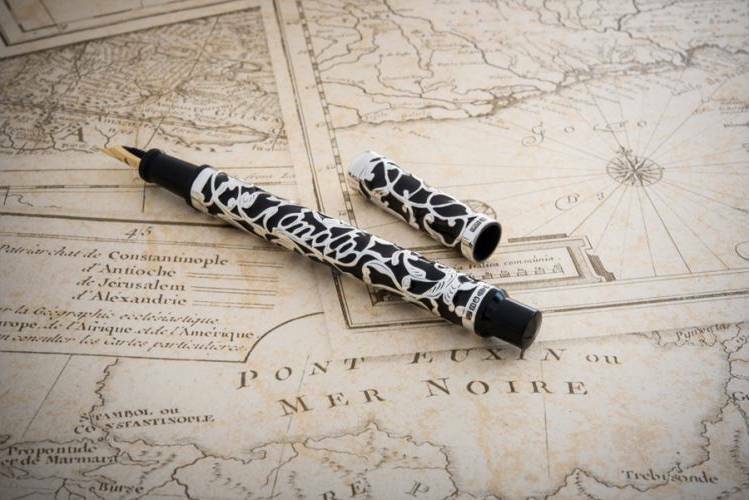 An indulgence, perhaps, but certainly a luxury pen with panache that is sure to be noticed and appreciated whenever and wherever it is used.